Start by folding the square scarf in half to form a triangle. Then, starting with the longest side, fold over into 2″ wide strips and keep ‘rolling’ until you’ve got a long skinny rectangle with pointed ends. Fold the rectangle in half once more (so that the pointed ends are now touching), wrap around the bag handle and pull the pointed ends through the loop that you’ve created. Voila! Start by folding the square scarf in half to form a triangle. Then, starting with the longest side, fold over into 2″ wide strips and keep ‘rolling’ until you’ve got a long skinny rectangle with pointed ends. 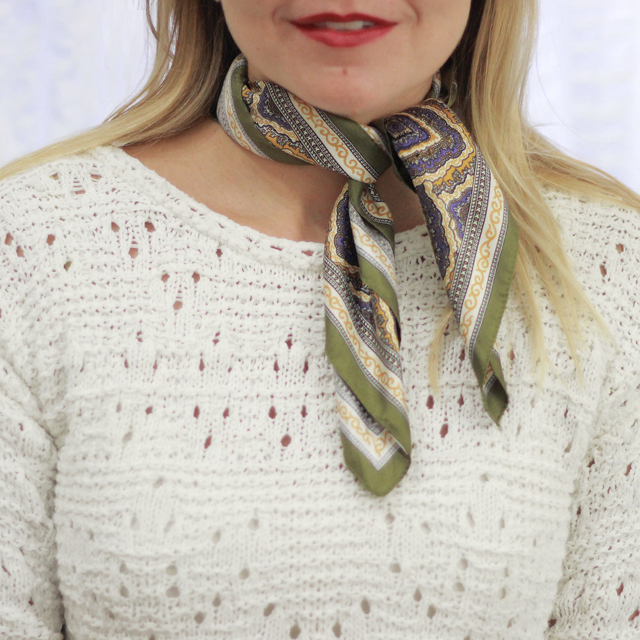 Wrap around your neck twice and finish with the pointed ends tied into a small knot in the front. 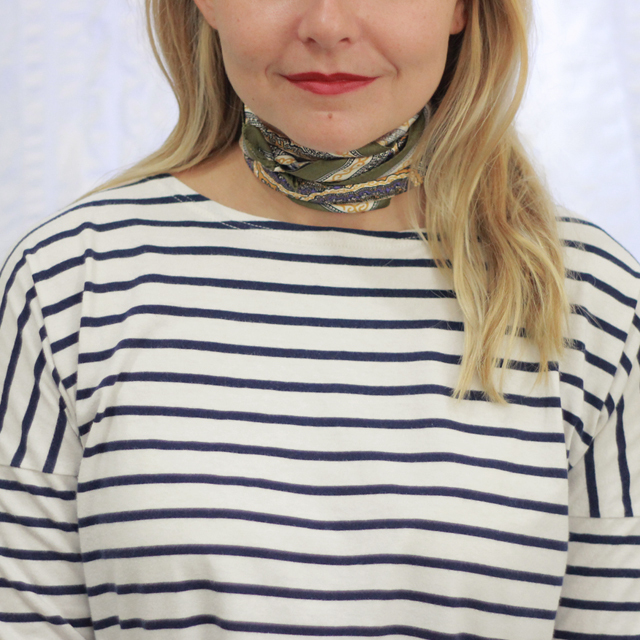 Pull the scarf more open if you like a ‘wider’ choker. Start by folding the square scarf in half to form a triangle. Then, starting with the longest side, fold over into 2″ wide strips and keep ‘rolling’ until you’ve got a long skinny rectangle with pointed ends. 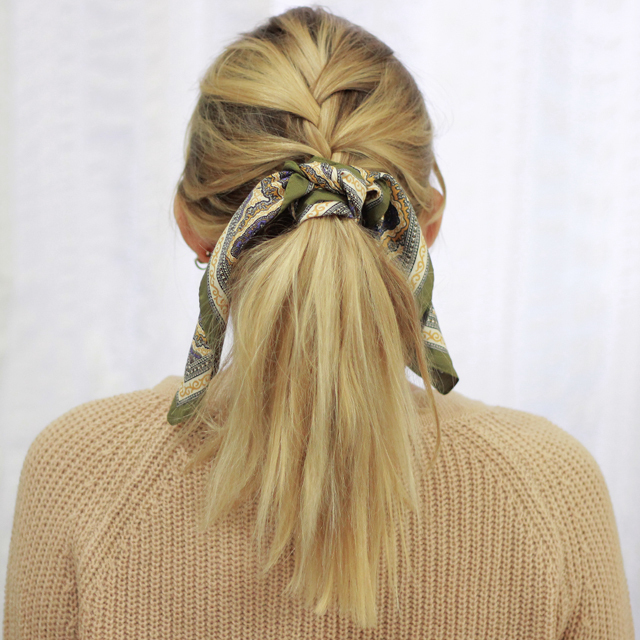 Once hair is secured into a ponytail, put the center of your folded scarf underneath the ponytail, and wrap around your hair tie a few times to shorten the length. Then tie is a knot at the top of the ponytail. 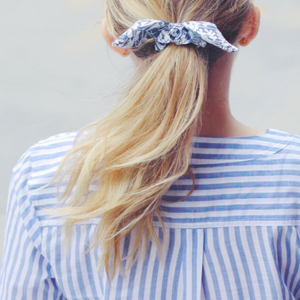 Secure underneath with a hidden bobby pin if you feel the silk scarf will slip out of your hair. The easiest of all four options. 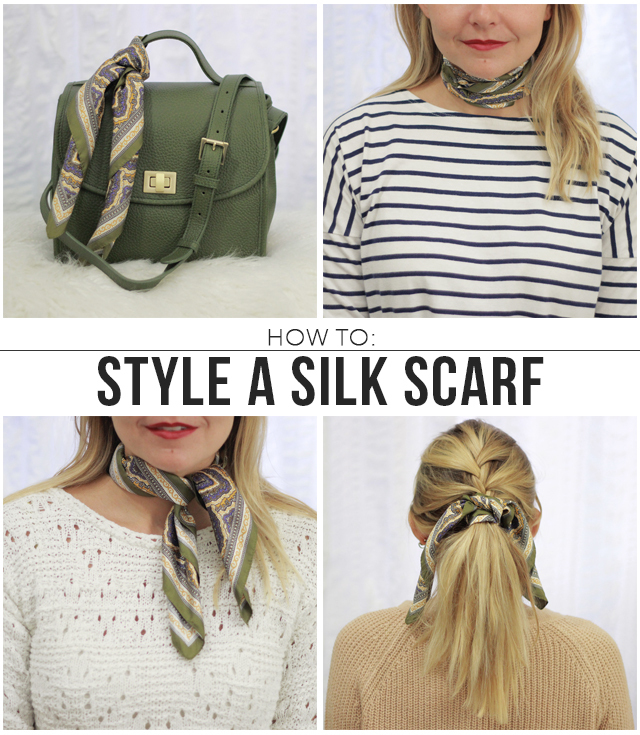 Start by folding the square scarf in half to form a triangle. Then, starting with the longest side, fold over into 2″ wide strips and keep ‘rolling’ until you’ve got a long skinny rectangle with pointed ends. 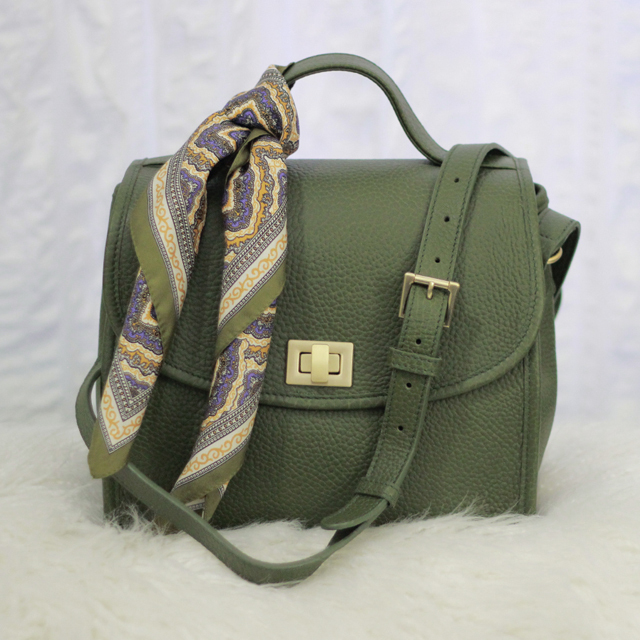 Wrap once around your neck and tie into a simple looped knot in the front. Done!